We strive to do the right thing by our customers, employees, investors and communities. Guided by decades of Industrial coatings experience and unparalleled market knowledge, N & S Flame Spray is uniquely qualified to meet customer needs through a variety of capabilities that span several industries. We have the ability to spray weld with multiple coatings including, nickel coating, ceramic coating, copper coating, aluminum coating, flame spray coating and many more. Guided by decades of industrial coatings experience and unparalleled market knowledge, N & S Flame Spray offers a wide range of products and is uniquely qualified to meet customer needs across the oilfield, pipeline, refinery and electric industries. CNC machines have gained popularity in the tooling industry over the years, attracting hobbyists as well. 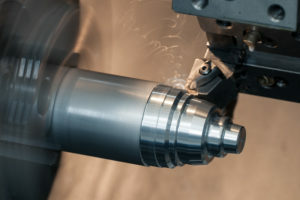 CNC machines depend on computers instead of humans in performing tasks. With the use of software programs, breakout boards, drives, and actuators, these machines can produce a myriad of products. Here are different types of CNC machines.